Supreme Court has given its verdict on the issue of TDS on Landing/ Parking Charges paid by an Airline companies to the AAI (Airport Authority of India). Landing and parking charges payable by Airlines in respect of air crafts are not for the ‘use of land’ per se but the charges are in respect of number of facilities provided by the Airport Authority of India. Thus, landing and parking charges payable by Airlines would attract TDS under Section 194C and not under Section 194-I. (a) The issue that was disputed in the instant case was as to whether landing and parking charges paid by Airlines would attract TDS under Section 194-I or under Section 194C of the income-tax Act (‘the Act’). 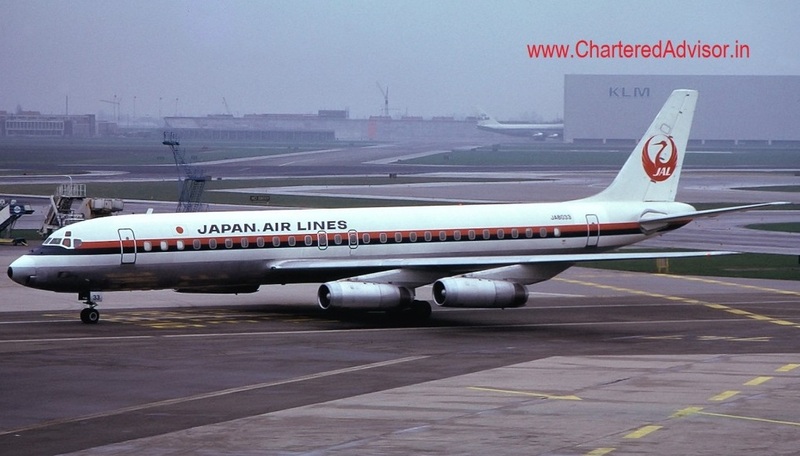 (b) The High Court of Delhi in case of CIT v. Japan Airlines Co. Ltd.  180 Taxman 188 (Delhi) has held that landing and parking charges would attract TDS under Section 194-I of the Act. (c) However, the Madras High Court in case of CIT v. Singapore Airlines Ltd.  24 taxmann.com 200 (Madras) has taken a contrary view the landing and parking charges would attract TDS under Section 194C. The two judgments are in conflict with each other and it has to be determined as to which judgment should be allowed to hold the field. (1) In the instant case, the Airlines are allowed to land and take-off their Aircrafts at Indira Gandhi International Airport (‘IGIA’) for which landing fee is charged. Likewise, they are allowed to park their Aircrafts at IGIA for which parking fee is charged. It is done under an agreement and/or arrangement with Airport Authority of India (‘AAI’). The moot question is as to whether landing and take-off facilities on the one hand and parking facility on the other hand, would mean to ‘use of land’. (2) In the opinion of the Delhi High Court (Supra) “when the wheels of an aircraft coming into an airport touch the surface of the airfield, use of the land of the airport immediately begins”. Similarly, for parking the aircraft in that airport, there is use of the land. This is the basic, rather, the only reason given by the Delhi High Court in support of its conclusion that landing and parking charges would attract TDS under Section 194-I. (3) The Madras High Court (Supra) examined the matter keeping wider perspective in mind thereby encompassing the utilization of the airport providing the facility of landing and take-off of the airplanes and also parking facility. After taken into consideration these aspects, the Madras High Court came to the conclusion that the facility was not of ‘use of land’ per se but the charges on landing and take-off by AAI from these airlines were in respect of number of facilities provided by the AAI which was to be necessarily provided in compliance with the various international protocol. The charges, therefore, were not for land usage or area allotted simpliciter. These were the charges for various services provided. (4) We are convinced that the charges which are fixed by the AAI for landing and take-off services as well as for parking of aircrafts are not for the ‘use of land’. That would be too simplistic an approach, ignoring other relevant details which would amply demonstrate that these charges are for services and facilities offered in connection with the aircraft operation at the airport. These services include providing of air traffic services, found safety services, aeronautical communication facilities, installation and maintenance of navigational aids and meteorological services at the airport. (5) Therefore, it is not mere use of land. On the contrary, it is the facilities that are to be compulsorily offered by the AAI in tune with the requirements of the protocol, which is the primary focus. For example, runways are not constructed like any ordinary roads. Special technology of different type is required for the construction of these runways for smooth landing and take-off of the aircarfts. Specialized kind of orientation and dimensions are needed for these runways which are prescribed with precision and those standards are to be adhered to. Further, there has to be proper runway lighting, runway safety are, runway markings etc. (6) Technological aspects of runways were emphasized to highlight the precision with which designing and engineering goes into making these runways to be fool proof for safety purposes. The purpose is to show that the AAI is providing all these facilities for landing and take-off of and aircraft and in this while process, ‘use of the land’ pails into insignificance. What is important is that the charge payable are for providing of these facilities. (7) Thus, it becomes very clear that the charges are not for use of land per se and, therefore, it cannot be treated as ‘rent’ within meaning of Section 194-I of the Act. Therefore, the view taken by the Madras High Court (Supra) is correct and the judgment of the Delhi High Court (Supra) is over-ruled.